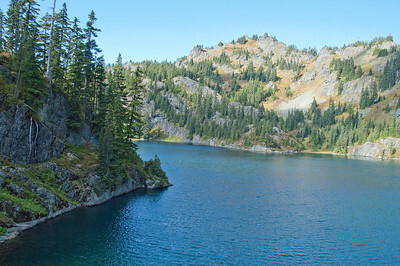 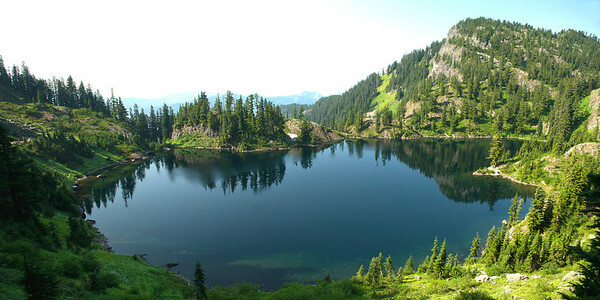 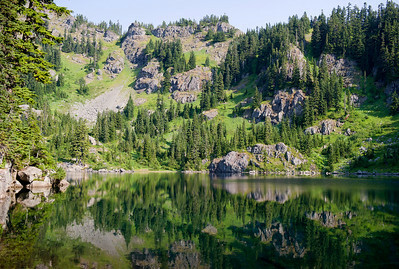 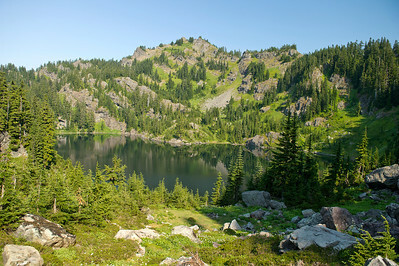 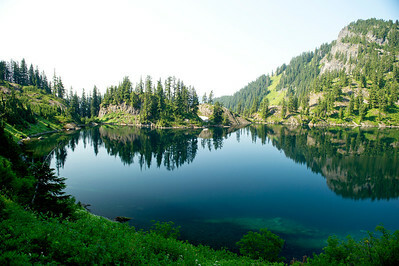 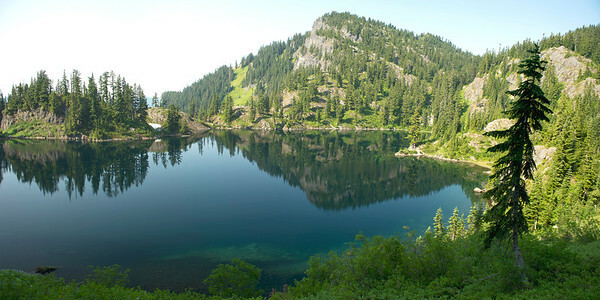 Lake Lillian, Lake Laura and Rampart ridge. 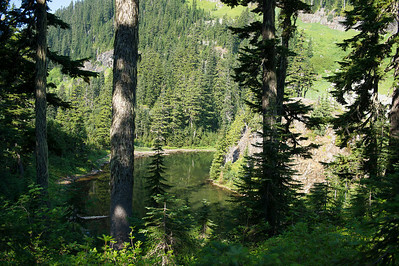 This is two hikes, one from the Lk Margaret / Lk Lillian trailhead stopping at Lake Lillian. 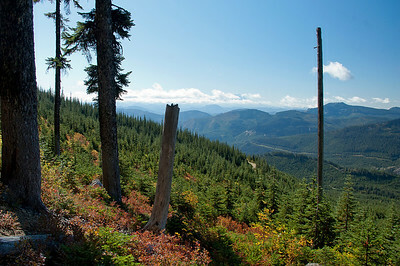 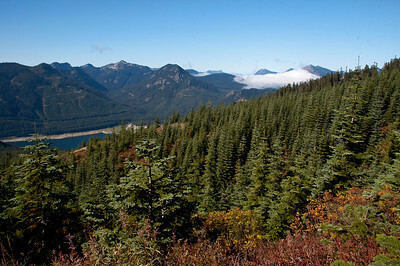 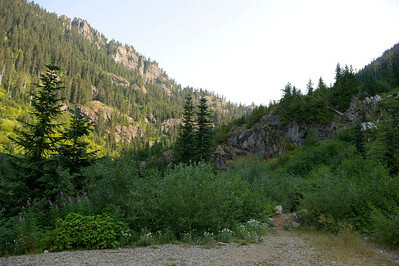 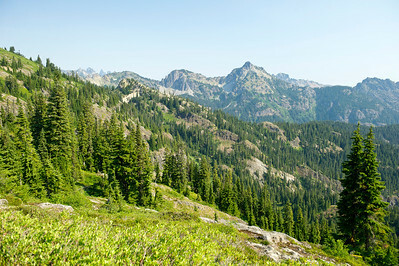 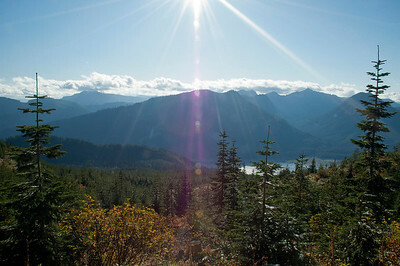 One from the "backdoor", continuing past Lake Lillian and climbing up Rampart Ridge. 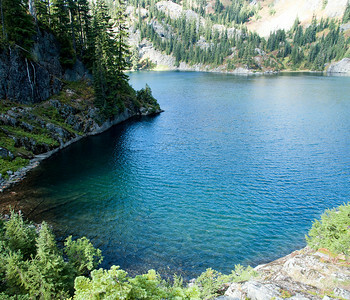 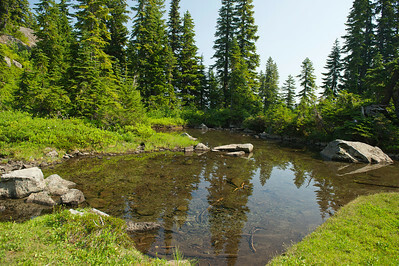 See the folder with Rachel Lake and Rampart Lakes for closeups of both. 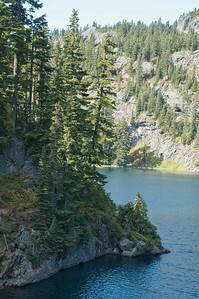 The backdoor to Lk Lillian is steep, direct with no switchbacks and quick, arriving at Lake Laura, below Lillian in less than 1/2 hour (0.6 steep miles) and Lillian is another .4 miles. 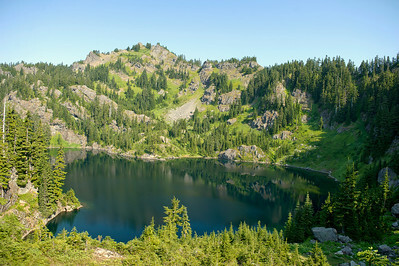 Lake Lillian from the "Big Rock", just off the trail to Rampart Ridge. 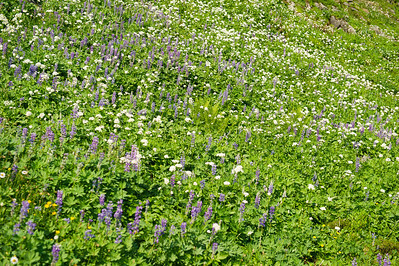 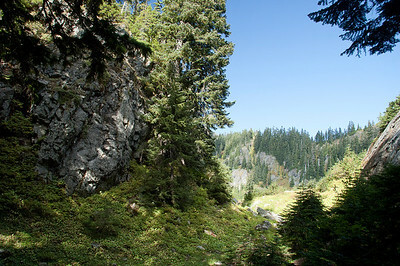 You do not have to climb the rock to find this spot, another trail goes up here, backtrack the main trail to find it. 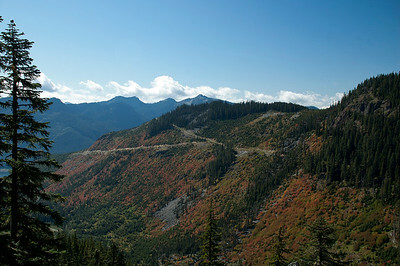 View west along the I-90 corridor. 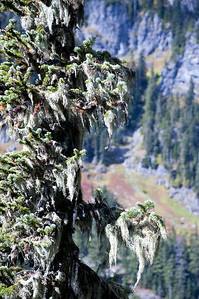 Fall is here and the berries are thock.